Aegean refuge – Clearly, there’s no shortage of pleasant aquatic pursuits on Naxos. It’s the largest of the Cyclades, a group of about 30 islands in the Aegean Sea. 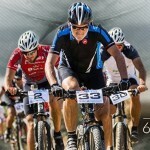 (CNN) - Some places are better than others at fulfilling the powerful human desire to live well. 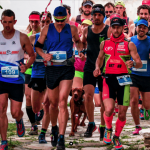 The Greek island of Naxos delivers. Its diverse natural setting satisfies the active traveler’s appetite for outdoor adventure, and the fertile land feeds those who seek homegrown culinary experiences. There’s rich mythology and medieval architecture. From land to sea, the island is long on allure. Ancient treasures – The island is dotted with ancient sites such as this marble quarry near Apollonas strewn with colossal unfinished statues. On horseback: Naxos Horse Riding expeditions lead riders through the Naxian farmlands, onto long stretches of beach and to hidden spots where the views are a textured blend of mountain and sea. 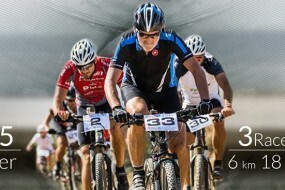 Families working in the fields, inland villages and ancient sites give riders a sense of the island’s past and present. 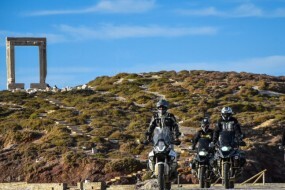 On wheels: Mount Zas, the highest peak in the Cyclades region, rises in the core of the island with an elevation of 1,003 meters. According to Greek mythology, the king of the Greek gods, Zeus, was raised in a cave on Mount Zas, the highest peak in the Cyclades. 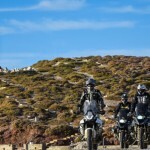 It’s also the background for some of the most scenic bike routes in the Cyclades. While excursions with Naxos Bikes don’t climb the mountain, it’s never far away as riders glide past villages and archaeological sites. 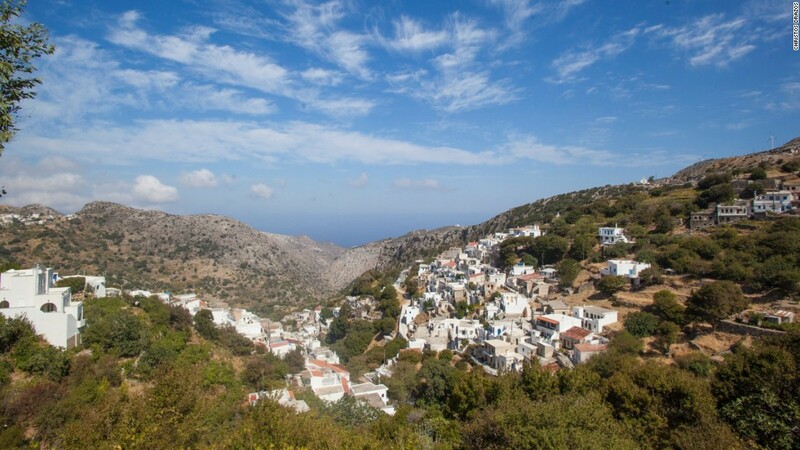 Lush and lovely – Villages like Koronos stand out on terrain that’s greener than the rest of the Cyclades. Castle culture – The Zevgoli Tower is a Venetian-era structure in Apiranthos. Medieval Venetian architecture and ancient sites comingle on Naxos. By kite: The Cyclades are known for their summer winds called meltemi, guaranteeing ideal conditions for kitesurfing and windsurfing. Kitesurfers head to Mikri Vigla beach, an expansive stretch of sand where kites are launched with ease. 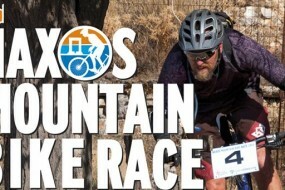 Flisvos Kitecentre Naxos operates there year round. Owner Michele Gasbarro says the beach is one of the windiest places in Europe thanks to the Venturi effect between Naxos and Paros. On a board: Laguna beach is off-limits to kitesurfers due to its proximity to the airport, but it offers great conditions for windsurfers. Protected by a reef, the calm water is ideal for beginners who don’t want to venture too far away from the coast. More advanced riders can head farther out to sea. 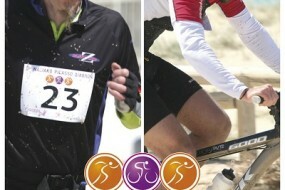 Gear and instruction is available through Laguna Beach Park windsurfing center. On a boat: Sailing around Naxos incorporates the island’s ancient sites and mysterious sea caves. “Dolphins come out to play. 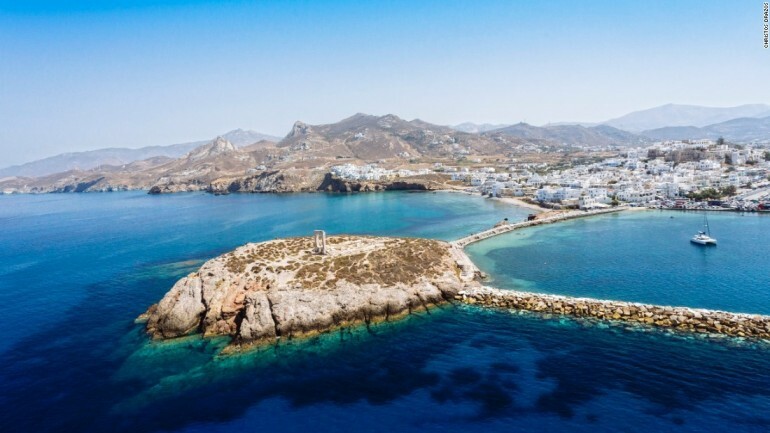 We sail past towers, temples and water sea caves filled with stalactites,” says captain George Fragiskos of Naxos Sailing, who has been sailing around Naxos for more than 40 years. With wings: Bird watchers understand just how diverse the Naxian landscape is. 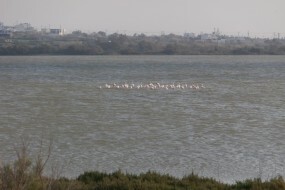 Naxos’ wetlands belong to the list of the 380 protected biotopes of the Natura 2000 network. Seasonal birds like Eleonora’s falcon (Falco eleonorae) can be seen between June and October. No-rush ethos – The slower pace on the Greek islands attracts visitors from Athens, and around the world, in droves. 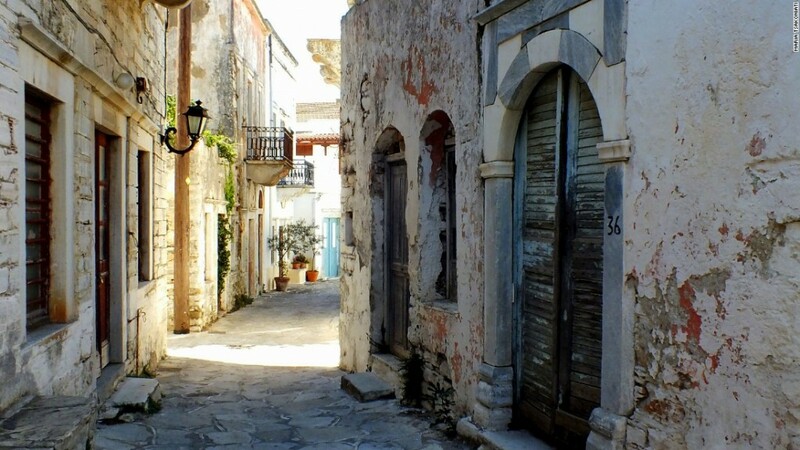 Simple discovery – Narrow streets in villages like Chalki hold their own clues to island life. From the deep: Panagiotis Niflis is convinced Naxos is one of the best diving destinations in Greece. 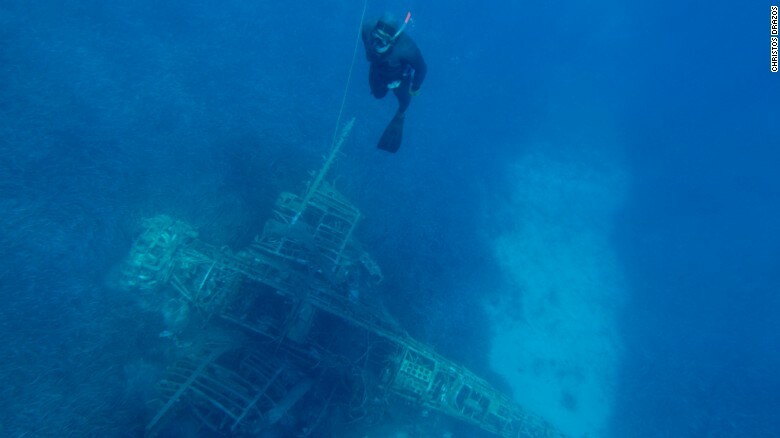 A diver and instructor running Blue Fin Divers, Niflis takes groups down to a diverse array of sites including the spectacular Marianna wreck, a 91-meter-long cargo ship that sank in the 1980s between Paros and Naxos. “The dive is unique because of the shallow depth, condition of the vessel and great visibility of about 30 meters. The wreck is covered with colorful sponges,” says Niflis. Caves and reefs also draw divers of varying levels. From the shore: While blessed with mountains, valleys and lagoons, the beach is never far off on Naxos. With its impressive stretch of white sand beach, Agios Prokopis is a favorite, a Blue Flag-accredited stunner with spectacular waters. There’s also great swimming at nearby islands of the small Cyclades like Iraklia, Schinoussa, Koufonissia and Donoussa. With some of Greece’s best diving, there’s a lot to see underwater in Naxos. 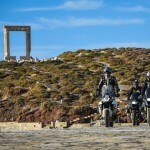 Links to the gods: At the tip of Naxos’ harbor on the Palatia islet, a massive and majestic marble doorframe called the Portara has stood since 530 B.C., the 80-ton entrance to an unfinished temple of Apollo. According to Greek mythology, Dionysus, the god of wine, found his future wife, the Cretan princess Ariadne, on the islet. She had been deserted by Theseus, the king of Athens. The islet hosted the first ancient Dionysian festivities. The Portara is an arresting sight, especially at sunset and easily accessible via a stone promenade. Evidence of the Venetians: Further in Naxos Town, also known as Chora, the Venetians left their architectural influence when they established Naxos as the Duchy of the Aegean, the headquarters for a long line of dukes following Marco Sanudo’s rule of the region in 1207. 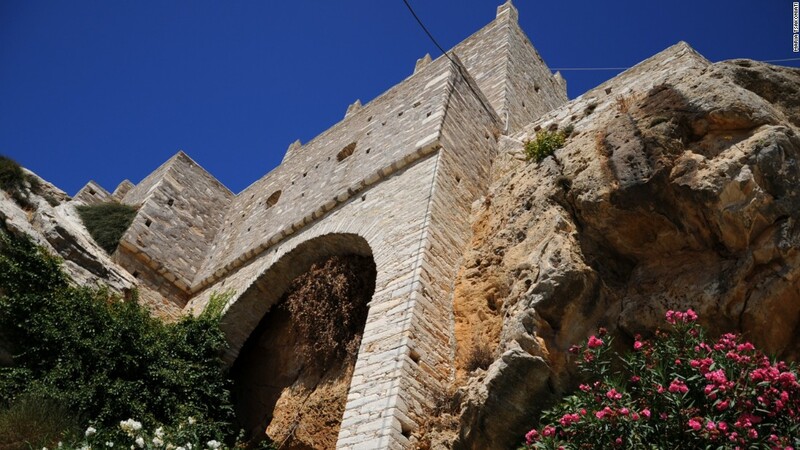 Today, Naxos’ well-maintained medieval castle, which once protected Naxians from pirate invasions, stands in the historic Kastro (castle) district. 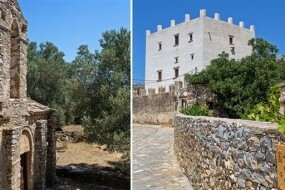 One well-preserved tower belonging to Nikos Karavias’ family is now a museum and the atmospheric venue for the Domus Festival, a cultural event Karavias organizes every summer. Taste of the land: According to Greek mythology, god of wine Dionysus found his wife Ariadne on Naxos. He loved the island so much, he gave it the gift of fertility. 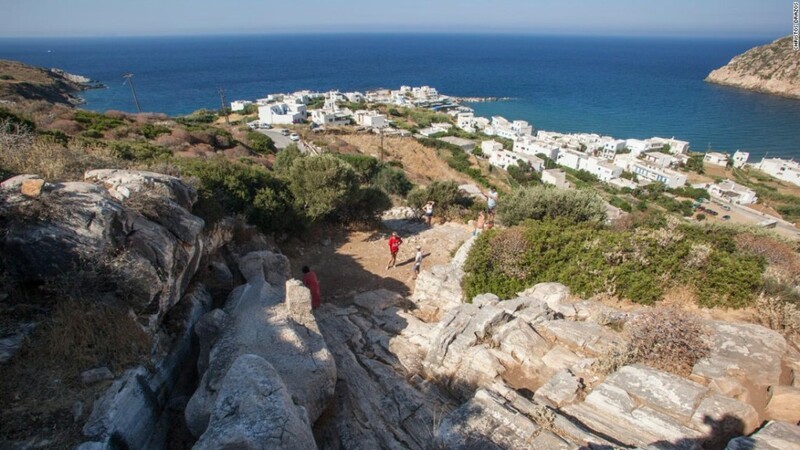 Today, Naxos is a lush and bountiful exception in the typically rocky and barren Cycladic islands. 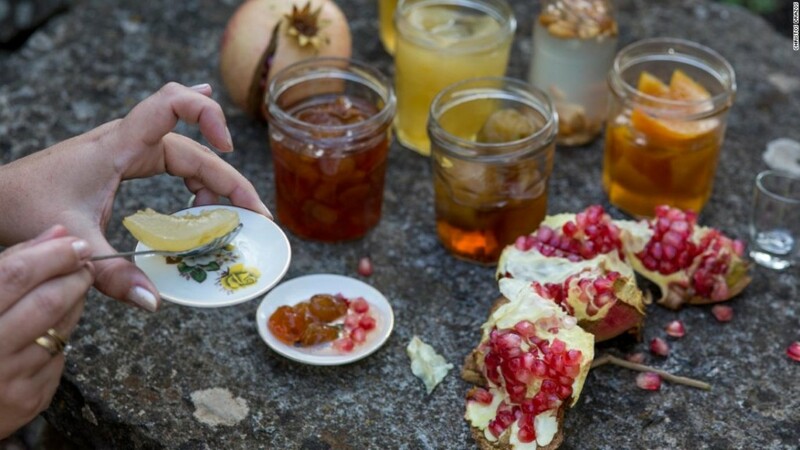 Farm-to-table tours prove Naxos is an island that can feed itself. Naxos Sun Holidays arranges authentic Naxian cooking classes taught by locals. Island specialties such as a delicious chard savory pie made from wild greens, herbs and rice called sefoukloti make the most of local ingredients. Another popular dish is kokoras me makaronia, a baked rooster dish with pasta and a rich tomato sauce. Tasty too – With bountiful harvests, he island has a reputation of being able to feed itself, and it eats well.